Samsung today announced its latest Exynos 7 Series 7904, a mobile processor with enhanced multimedia support that allows high-end features in mid-range smartphones. Customized for the Indian consumer needs, the cost effective processor is optimized to deliver high-end multimedia capabilities in the mid-range smartphones. Built on a 14-nanometer (nm) process, the Exynos 7 Series 7904 is equipped with two Cortex-A73 cores that run at 1.8-gigahertz (GHz), and six Cortex-A53 cores at 1.6 GHz. With a powerful Cortex-A73 as a ‘big-core’ Exynos 7904 delivers fast single-core performance required for nimble web browsing, app launching and many other key operations on a smartphone. Exynos 7904’s image signal processor (ISP) supports single-camera resolution of up to 32-megapixels (MP) and an advanced triple-camera setup for high-resolution imaging and a number of new features. The new mobile processor supports up to faster FHD at 120 frames-per-second (fps) or UHD at 30fps of video playback, and up to FHD+ display for vivid and near perfect mobile entertainment. The embedded LTE modem supports Cat.12 3-carrier aggregation (CA) for 600-magbits-per-second (Mbps) downlink speed. 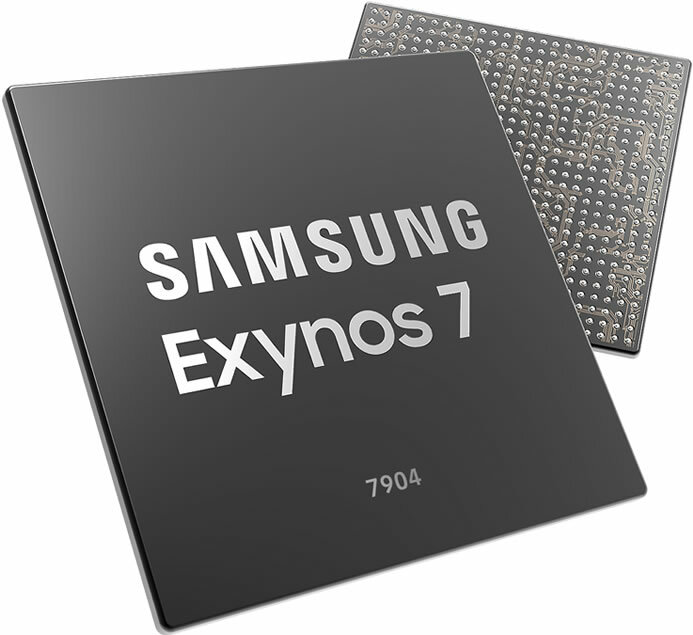 The Exynos 7 Series 7904 is currently in mass production.